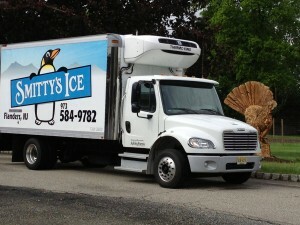 Smitty’s Ice is owned and operated by Ashley Farms. We service over 80 restaurants, convenience stores and delis, but we also sell 7 lb, 20 lb, and 40 lb bags of cubes and 11 lb blocks right at the farm. We make the ice daily in our ice manufacturing facility so we always have plenty available!